It’s time to take care of them. 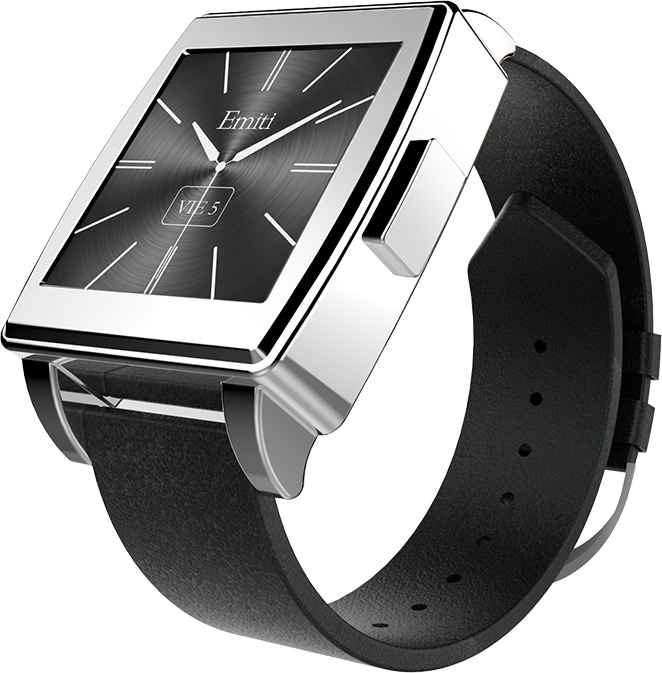 Emiti is a smart device designed for seniors with the aim of taking care of them, monitoring their Health and attending them in Emergencies, through a beautiful Watch which technological innovation takes place inside. 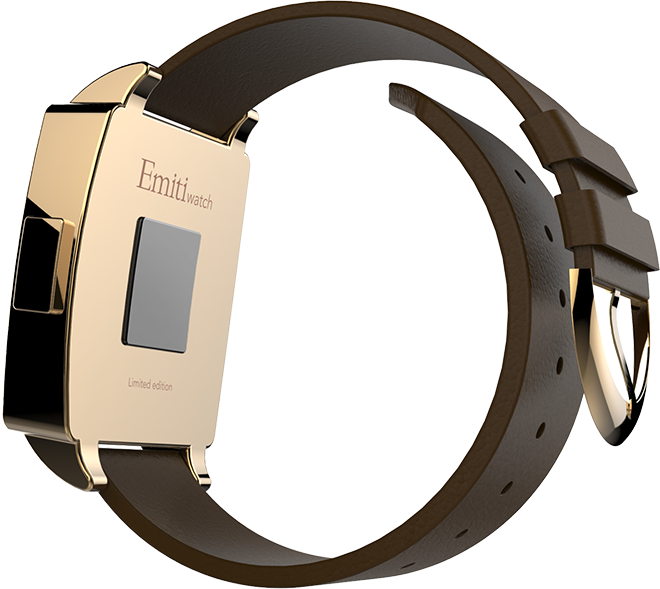 Through advanced sensors and thanks to the innovation of our Vital Algorithms®, Emiti is able to monitor physical activity, detect falls and even geolocalize it´s owner. It has an emergency button which is linked to the registered phone, Facebook and our Web Site 24 hours a day, protecting the well-being of your familiar when necessary. Charges automatically by placing it in its base. Has resistance against impacts and scratches. 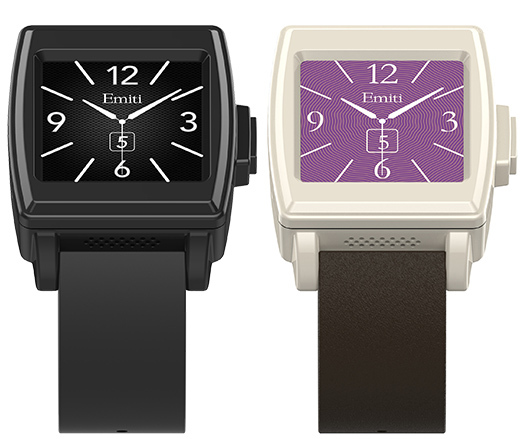 Emiti’s design is inspired by a glamorous and sophisticated generation that imposed a style in the fifties, whose fashion became classic. 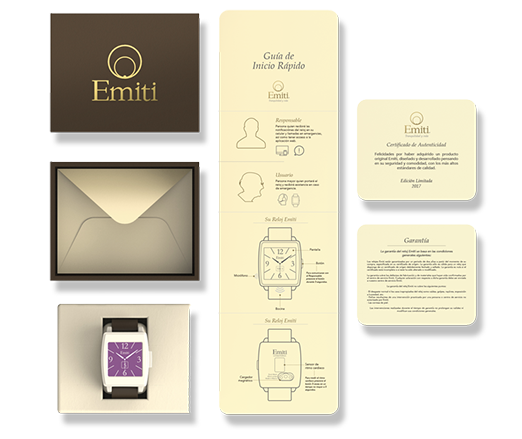 Our Watch is a tribute of respect and admiration for our parents and grandparents. We have paid special attention to the details to ensure the maximum comfort they deserve. 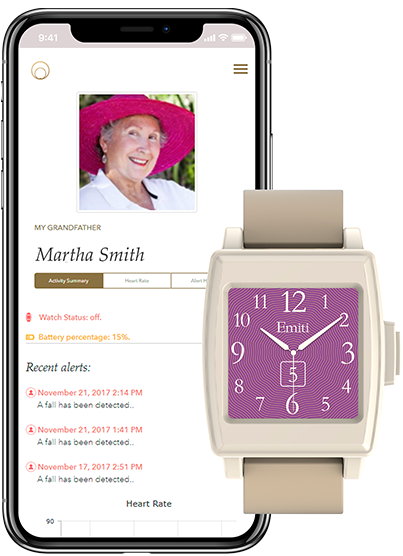 With our 24/7 Personalized Monitoring Service, our users can access our vital panel information through the Web Site by using any Smart device, Tablet or Computer, where they can consult in real time: Heart Rate, Physical Activity and Alerts. In addition, you will receive notifications of your familiar through Facebook and SMS to the account and telephone number registered. 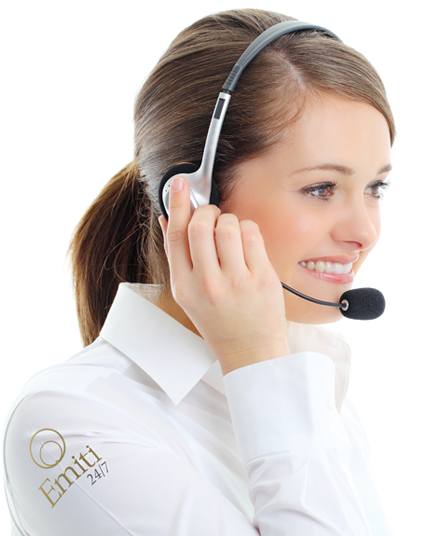 At Emiti we work for the safety and tranquility of your familiar.